Stocks moved broadly higher in afternoon trading on Wall Street Monday after the U.S. and China agreed to a 90-day truce in their escalating trade dispute. The rally, which lost some of its early morning momentum, followed gains in overseas markets as investors welcomed news of the temporary stand-down, which was agreed to over dinner between President Donald Trump and his Chinese counterpart Xi Jinping at the G-20 summit over the weekend. The development helped extend a swift turnaround for the market, which notched its biggest weekly gain in nearly seven years last week after Fed Chairman Jerome Powell indicated the central bank might consider a pause in rate hikes next year while it gauges the impact of its credit tightening program. 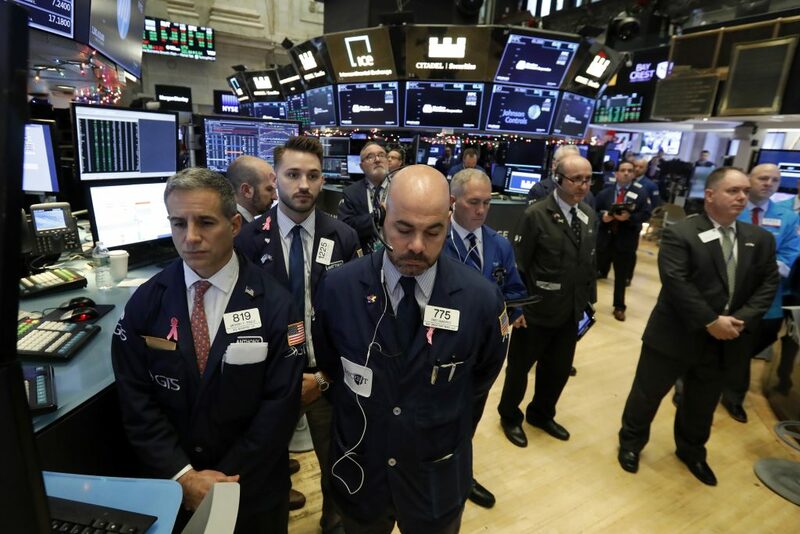 Technology stocks, automakers, retailers and industrial companies accounted for much of the market’s gains Monday, offsetting losses in household goods makers and utilities. Energy stocks also climbed as U.S. crude oil prices rose sharply. The S&P 500 index climbed 28 points, or 1 percent, to 2,788 as of 1:25 p.m. Eastern Time. The benchmark index vaulted at a 4.9 percent gain last week. The Dow Jones Industrial Average jumped 262 points, or 1 percent, to 25,800. The average was up as much as 441 points earlier. The Nasdaq composite rose 102 points, or 1.4 percent, to 7,433. The Russell 2000 index of smaller-company stocks picked up 8 points, or 0.6 percent, to 1,541. Presidents Trump and Xi of China met at the G-20 summit over the weekend and agreed to a ceasefire lasting for at least 90 days, to allow time to smooth out a dispute over Chinese technology policies that the U.S. and other trading partners consider predatory. President Trump agreed to hold off on plans to raise tariffs on $200 billion in Chinese goods, which were supposed to kick in on Jan. 1. In return, Xi agreed to buy a “very substantial amount” of agricultural, energy and industrial products from the U.S. to reduce its large trade deficit with China, the White House said. “Three months is not a very long time to achieve this so there are naturally plenty of skeptics out there but this is a rare piece of good news in a conflict that has yet to produce any,” said Craig Erlam, senior market analyst at OANDA. Benchmark U.S. crude was up 3.3 percent to $52.59 per barrel in New York. Brent crude, the international standard, rose 2.8 percent to $61.14 per barrel in London. Monday’s pickup in oil prices gave energy stocks a boost. Devon Energy climbed 5.4 percent to $28.50. Gains in technology companies helped drive the market higher. Chipmaker Advanced Micro Devices jumped 10.6 percent to $23.57. Ford Motor rose 3 percent to $9.69, while General Motors jumped 2 percent to $38.70. Tesla gained 3.1 percent to $361.35. Tribune Media jumped 10.3 percent to $44.40 after the TV station owner agreed to be acquired by Nexstar Media Group, four months after a bid from Sinclair Broadcast Group collapsed. Nextar shares rose 2.6 percent to $84.75. GlaxoSmithKline PLC slumped 7.5 percent to $38.73 after the drugmaker agreed to acquire Tesaro, which makes the cancer treatment Zejula. Shares in Tesaro soared 58.6 percent to $73.56. Meanwhile, Wynn Resorts gained 9.6 percent to $119.89 after the gambling revenue in Macau rose last month at a higher rate than analysts expected. Bond prices rose. The yield on the 10-year Treasury note fell to 3 percent from 3.01 percent late Friday. The dollar rose to 113.67 yen from 113.61 yen late Friday. The euro strengthened to $1.1352 from $1.1309.